Making broadband technology more available, continuously improved, with ever advancing performance since 1987. Making the information revolution an evolution. The American dream has been empowered by the entrepreneurial spirit of innovation through business start-ups and a commitment to developing the next great thing. As one of the leading advocates of that spirit, Dr. Rouzbeh Yassini has been recognized as a serial entrepreneur in advanced technology since 1987. Known as the “father of the cable modem”, Dr. Yassini founded LANcity in 1990 and is credited with inventing the cable modem. In 1997, Dr. Yassini founded YAS Broadband Ventures LLC, bringing with him a number of LANcity team members. YAS Broadband Ventures focused on attaining affordable deployment to advance the technical, economic, and social transformations enabled by broadband. The company worked closely with global service providers, government agencies, private companies, educational organizations, and equipment manufacturers to deploy first time innovations and creating various successful ventures. In addition, Rouzbeh and his distinguished YAS Ventures team members have been instrumental and engaged in strategic investments of multiple start-up companies that have either been acquired or have successfully staged initial public stock offerings. Beyond their Venture arm, Paul Nikolich, an “IEEE fellow”, and Dr. Yassini also have contributed significantly to standardizing broadband and IEEE 802 technology. Additionally, team members have led hundreds of strategic programs for fortune 100 companies that improved the quality of life for citizens across the world through the YAS consulting arm and by serving on the boards of directors for a number of privately and publicly held companies, which collectively serve tens of millions of customers. Over the course of four decades in pursuit of broadband technology, Dr. Yassini has followed the formula of inventing companies¸ innovating technologies and creating industry standards to improve the quality of life for our society while creating global jobs. WE BUILT CHEMISTRY WITH THE PEOPLE WHO DID THE JOB, THE TEAM. I've walked into airports and libraries in over 70 countries.Anywhere in the world, there’s somebody, somehow whose life has been involved with this innovation. Different religions, different backgrounds, different countries,but we’ve all worked together. More than 30 years ago Rouzbeh Yassini, the CEO of a then-unheralded tech company began leading a 13-person team that worked tirelessly to develop the first ever commercial cable modem for cable operators. LANcity was founded from the remnants of a company named Applitek. The LANcity team has been credited with inventing the first ever cable modem using its proprietary access technology and being an early pioneer of large scale cable modem deployments around the world. This pioneering invention would lead to cable’s historic DOCSIS Specifications. LANcity engineers and staff helped to develop the DOCSIS 1.0 MAC specification that would ultimately usher in the global broadband era enabling multivendor interoperability that supported the deployment of hundreds of millions of cable modems worldwide and created a multi-billion dollar industry. LANcity was the first ever company in the history of the cable industry to provide its technology royalty free to the industry and world and driving the price of a cable modem to $30 by 2010. Distinguished Technical members of the LANcity team would later join forces with YAS Capital Partners, an organization focused on attaining affordable broadband deployment to advance the technical, economic and social transformations enabled by broadband. The company worked closely with global service providers, government agencies, private companies, educational organizations and equipment manufacturers to deploy first time innovations. Bay Networks acquired LANcity on September 24th, 1996, for $59 million to provide global internet networking via cable. Bay Network was acquired by Nortel and then Arris inherited LANcity from Nortel. 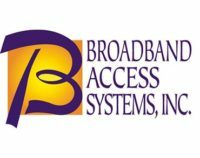 Almost 20 years ago in February 1998, a founding team including Paul Nikolich, Walter G. Mahla, Kumar Chinnaswamy, Abbot Gilman, Dave R. Paolino, Willem A.H. Engelse, Jyotirmoy B. Sarkar launched as a private company, Broadband Access Systems. The team was responsible for inventing and delivering the first carrier class DOCSIS Cable Modem Termination System to cable operators. Through this technology, cable operators were enabled to reliably deliver Internet Access and phone services. 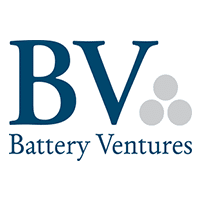 YAS Capital Partners, Rouzbeh Yassini, Chris Grobicki and Paul Nikolich were key members of BAS as a member of board of directors, director of RF engineering and co-founder, respectively. Over a two-and-a-half-year period, the company grew to almost 200 employees and was acquired by ADC Telecommunications for $2.25 billion in stock in September 2000. In 2000, prior to the acquisition, Paul Nikolich wrote this NCTA paper (Innovations Tab) on reliable broadband access communications. 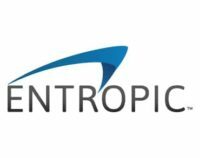 Entropic, founded in 2001 by Dr. Itzhak Gurantz and Dr. Anton Monk, was responsible for the innovation of the first ever connected home entertainment “MoCA”, which is Multimedia over Coax Access and is a global standard now. The company’s Software and Hardware products were able to deliver HDTV video and multimedia content within a home environment, giving access to home entertainment content on all devices. The startup company went public in 2007 and grew to 700 people with annual revenue of $320 M in 2012 and market cap of $1B. Dr. Rouzbeh Yassini was a board member and both Paul Nikolich and Dr. Rouzbeh Yassini were early Angel Investors, facilitating the company’s rapid rise and success. Stargus, Inc. was co-founded in 2000 by Robert Cruickshank and Jason Schnitzer. Rouzbeh Yassini and the YAS Ventures LLC team were Investment Angels providing seed and series A investments. Stargus immediately benefited from YAS Ventures LLC strategic guidance in product and Marketing development. YAS also provided turnkey support in all aspects of company operations, including information technology, finance, accounting, sales, marketing, human resources, and legal services. Stargus developed the CableEdge product suite that provided bandwidth management, network optimization, and service assurance to broadband service providers. 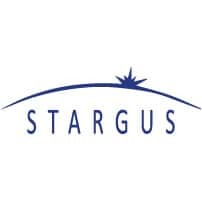 Stargus was the first company using Big Data and intelligent data gathering to manage multi-million cable modem networks and received multiple U.S and international patents in network performance monitoring, fair bandwidth redistribution, fraud detection, and network performance parameterizing. The first Stargus CableEdge system was deployed in Europe and quickly grew to support simultaneous cable modem operations in over 10 countries from a single location. The second Stargus CableEdge system was rapidly deployed by the 2nd largest cable operator in the United States and functionality grew to include X-ray capabilities of individual modems and whole-house checks. Weekly web-based training sessions were attended by MSO technical operations staff throughout the world for many years. Stargus was acquired by C-COR.net Corp. in July of 2004. C-COR was later acquired by ARRIS, Inc. CableEdge was rebranded ServAssure and currently improves customer experience by managing hundreds of millions cable modem networks throughout the world. 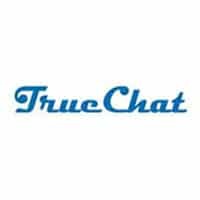 TrueChat was incorporated in 1999 by a team of technology innovators/entrepreneurs from the broadband industry, with founders Frank Christofferson and Ed Miller leading as CEO and CTO. 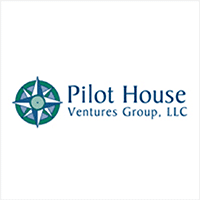 YAS Broadband Ventures LLC and Pilot House were among the original seed level/ Series A investors, with Rouzbeh Yassini and Bill Schleyer acting as Board members. 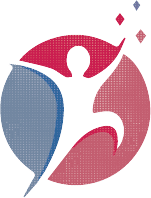 The company was based in Broomfield, CO. TrueChat was a technology pioneer in the emerging fields of Voice over IP and multimedia teleconferencing. Its patented technology enabled positional audio for immersive entertainment applications and improved business teleconferencing experiences. The company was acquired by Terayon Communication Systems in January of 2001. Endeca was founded in 1999 by Steve Papa as an early entrant in advanced search capability. The software company based in Cambridge, MA, had products in eCommerce search, Customer Experience Management, enterprise search and business intelligence applications. 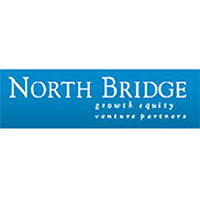 Paul Nikolich and Dr. Rouzbeh Yassini were early Angel investors in the promising company. Endeca’s products provided faceted search, particularly in the context of electronic commerce and online libraries. Endeca is still considered a leader in the enterprise search and information access market by some leading industry analytical firms. Endeca was sold on October 18, 2011 to Oracle Corporation for nearly $1.1 billion. BroadSoft, Inc., was founded by Michael Tessler and Scott D. Hoffpauir in 1998 under the name iKnow. The name was changed its name to Broadsoft one year later. BroadSoft is a global communication software and service provider to which Rouzbeh Yassini was an initial investor. Broadsoft enables service providers to build cloud-based communications services such as voice, video, web conferencing and now team messaging and contextual services. The company’s flagship product, BroadWorks, is a Voice over Internet Protocol (VoIP) applications platform that enables service providers to deliver basic and enhanced voice services for business and residential end users. In 2014, the company was selected by Sprint as the supplier for its next generation multimedia system-based network and VoLTE development. Endeca was purchased by Cisco Systems in 2018. Started in 1997 by David Brown, David Drucker and Tom Moore, WildBlue was the first high throughput satellite (HTS) internet service providers in the world. The company was established to extend DOCSIS™ technology into the satellite world and thus making the benefits of broadband available to the 15-20 million homes in the US that would not receive it otherwise. Based in Denver, the company launched the first commercial Ka-band high frequency spot beam satellites and grew to become the second largest consumer satellite ISP worldwide with over 400k subscribers. 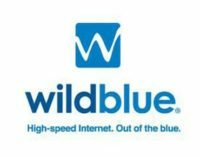 WildBlue was supported by investors including Liberty Media, Gemstar TV Guide, Echostar, NRTC, Intelsat, Kleiner Perkins Ventures and the Angel investor arm of YAS Broadband Ventures,. WildBlue was acquired by ViaSat 2009 for $568 million. Sycamore Networks, Inc. was founded in February 1998 by Gururaj Deshpande and Daniel E. Smith in pursuit of a vision for a data-optimized Information Superhighway public communications network, leveraging data networking and Intelligent Optical Networking. From day one, Sycamore’s mission focused on helping customers create networks of unparalleled flexibility and capacity, based on intelligence and performance. 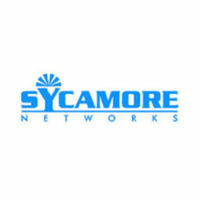 Sycamore’s innovative optical solutions met the unique requirements emerging networks. The company’s early years were very successful, with its market value hitting $45 billion in a short time. Rouzbeh Yassini and Paul Nikolich provided guidance to Sycamore Executive team in the later stages of the company for entering the Cable Market. 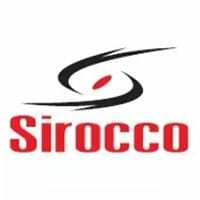 Sirocco Systems founded in 1998 by Jon Reeve. The company developed, manufactured, and marketed optical access aggregation, switching and network management products targeted for the metropolitan access market. Sirocco was one of the pioneering developers of Metro optical networking systems. purchased by Sycamore Networks for $3.55 billion in 2000. It developed, manufactured, and marketed high-speed data networking equipment. It offers optical access aggregation, switching, and network management products . Rouzbeh Yassini and YAS Ventures were small investors in Sirocco.